It’s the winter solstice today; from here on, the days will get longer. As I write, I am warmed by the smell of freshly baked bread. Bright strings of colourful lights inside are a hopeful counterpoint to the early onset of darkness outside. This year, like most others, I will travel to my parents’ home in Ontario, to the forested and rocky Canadian Shield, where we snowshoe deep into the woods, follow deer trails, build snow forts, warm toes by the fire, play music, share meals and stories. I moved to Montreal a decade ago, and I became an Anglophone (before that, I lived in Japan, where I was a “gaijin” – foreigner). It took a few years, but I now call this city home. Still, each time I head west, over the bridge off the Island of Montreal, in addition to remembering that I’m allowed to turn right on red lights, I have the feeling of heading home. Odd, since I haven’t lived in Ontario for a long time, and I have never lived where my parents live now. Is it because I’m returning to a place where I am not marked by language or my white skin, where I am not an Anglophone or a visibly-marked foreigner, but part of the linguistic and invisible majority? Language use, alone, does not determine a sense of belonging. And I see this in how my Japanese-Canadian daughters can easily be recognized as members of the linguistic majority in the part of Ontario we visit (which glosses over their multilinguality). At the same time, they are not part of the invisible majority, as I am. In Montreal, though I may look like part of the invisible majority, I am part of an audible minority. Here, language policy divides people into three linguistic categories: Francophone, Anglophone, and Allophone. These categories mean things. For example, they mean that some people can be eligible to be schooled in the English education system, whereas others can’t. Yet, the categories don’t fit many people (including my children), and each one hides a lot of diversity – Allophone, for example, is a category so broad and with so many layers of multiplicity that it, at best, means Other (see Lamarre, 2007, on the diversity among Anglophones in Montreal). 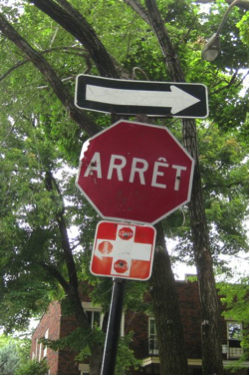 As Mehdi wrote, Montreal is a city where there are ethnicities within ethnicities and languages within languages; we know these three labels don’t work for many Montrealers. Yet, they do the work of demarcating borderlines and possibilities for belonging and identity. I don’t think of my daughters as Anglophones (their lives include social contexts for English, Japanese, and French), but I can see that they are already carrying this label because they are eligible to be schooled in the English system, and because I’m their mom. My oldest daughter started attending French immersion kindergarten this fall. I ‘ve been watching her transition from family- and community-based social worlds, to a formal educational context, and seeing how this is shaping her experiences of being and becoming. The school system still relies heavily on the idea that keeping languages separate is the best way to learn, that children are learning a “second” language, that they all share a common “first” language. How does this pervasive theory of language learning and teaching collide with the lived experiences of children who are growing up as plurilingual wordsmiths (as Mela put it in a previous post)? This opens up a topic for another post, but I will at the very least include Nancy Hornberger (2002) here, who argues so aptly that we need to open up implementational and ideological spaces in classrooms and welcome children’s multilingual repertoires as resources for (not a barrier to) their learning. It is only since entering school that my daughter has started to make comments about how French is not her language. I see her defining lines around who she is and who she isn’t, and how that connects to where she speaks what language, and with whom. When I speak Japanese to my daughters, they are quick to remind me that Japanese is Daddy’s language, not mine. I disagree with them. It is the language that connects me to friends, former colleagues and students, and to a(nother) place that I grew to call home. But my girls don’t see this. They don’t share this history with me. They see me, and they see English. I can’t help but think back to Henry, a 6-year old in my PhD inquiry, who told me, “But your face, it looks like you’re English”. I’ve mentioned a few (very different) places where I feel a sense of home. What is it that makes a place a home? What do we carry with us, leave behind, change, and celebrate as we transport/ translate feelings of home from one place to another? I think this is a question that drives much of what us BILDers think about and do, though we focus on belonging, identity, language, and diversity in very different aspects of social life. I tend to think about this question in relation to family. How do individuals language within their families (however narrowly or broadly we want to define family), across generations, as well as across borders, territorial, social, political, linguistic, or otherwise? This line of inquiry begs for creative and flexible and mobile tools for eliciting and understanding multimodal ways of making meaning. We need to pay attention to how movement affects individuals’ performances and experiences of multilingual (multiethnic/ multiracial) identity. My multilingual daughters know that we enter a mostly English zone when we go to Ontario. 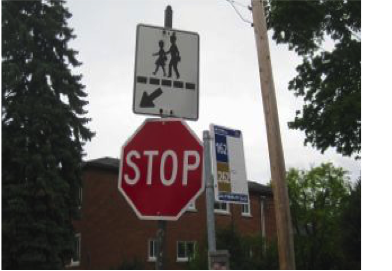 They notice that the stop signs are all the same (not like the varieties we see in Montreal). When we cross into Ontario, our languaging shifts, but we don’t let go entirely. I see, for example, how my daughters’ multilingualism, which is so normal for them in Montreal, has woven little threads into the practices of the Ontario home we visit. I have watched, with great fascination, my parents integrate Japanese expressions into some of their practices, mostly related to food and eating. This makes sense – sharing meals together has been and still is the most important part of our family rituals, a touchstone of belonging. It is what gives us a shared sense of togetherness, space to explore ideas, to laugh, to listen, to live our histories. Nevertheless, my daughters know not to pack French or Japanese books for our trips west (“Nana and Grandpa speak funny French and they can’t read Japanese,” they tell me). Still, my parents’ efforts are important acknowledgments of the histories that my girls and I carry. For that, I am grateful. And, on this note of gratitude, I will pull this post to a close. 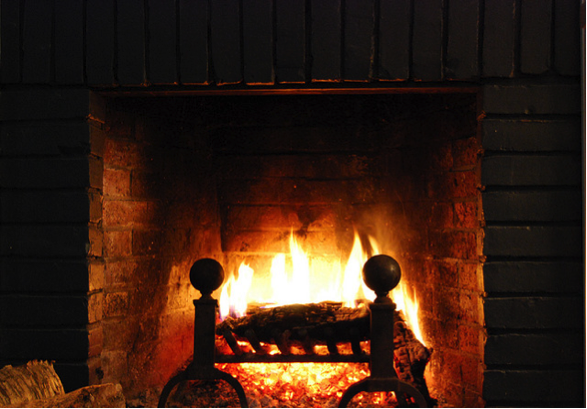 However you spend the holidays, whatever the blends of families, languages, and places you call home, I wish you warmth, light, and joy.